Click to display a larger image in a new window. 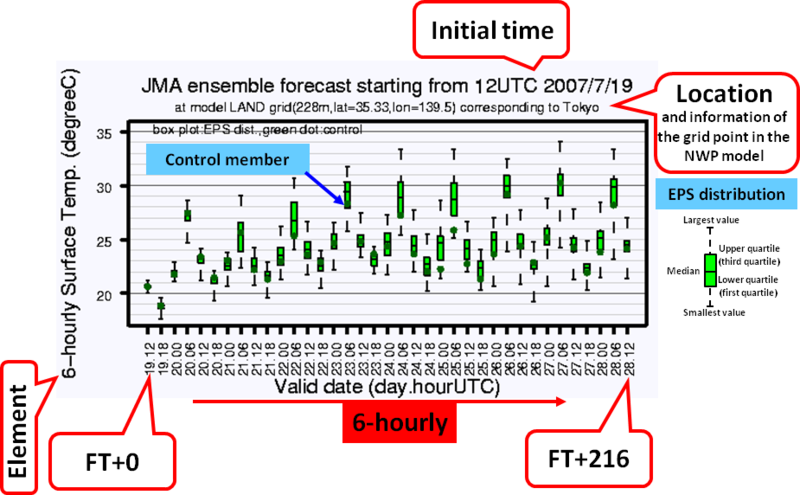 JMA runs the global ensemble prediction system twice a day. Products for 00 and 12 UTC initial runs are available after 07:00 and 22:00 UTC, respectively. Products for the past 10 days are provided. Products may be temporarily unavailable due to system failure. Himawari Products is a link to Meteorological Satellite Center (MSC) website. Ocean Wave Products is a link to Wave Ensemble System website.